Yamitsuki really sets the tone when you step foot into this beautiful Japanese themed restaurant. After passing by the big Iron Man Suit near the entrance (it’s actually pretty cool) you’ll notice natural wood walls, bright lights, an open kitchen, and your water is even served in a beaker glass. 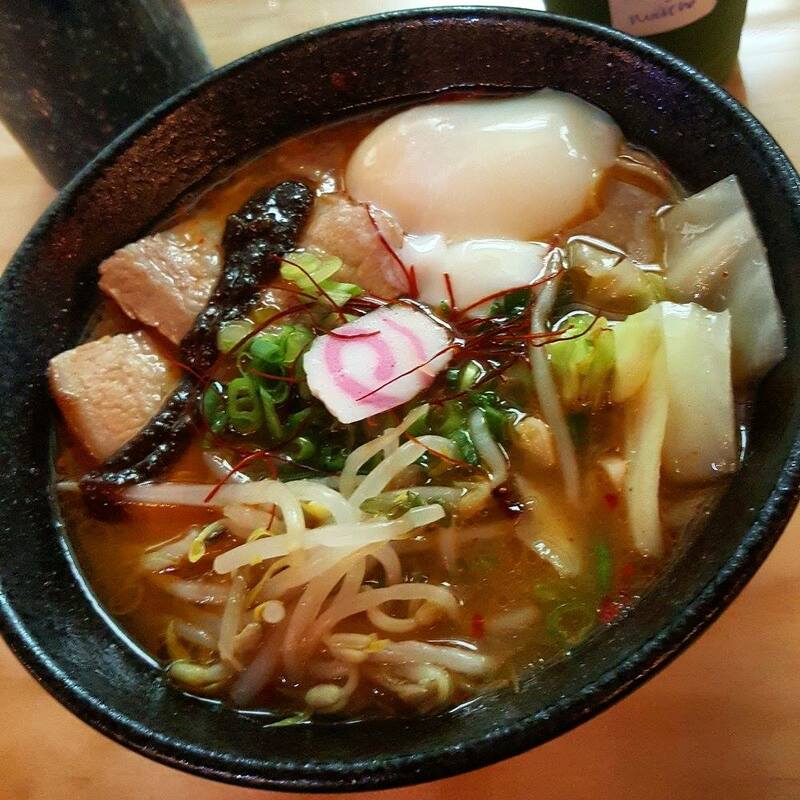 With that said, the apple really doesn’t fall far from the tree, their ramen is just as exquisite. Serving Japanese Ramen in 3 broths: Pork, Chicken, and Vegetarian. Yes, you read that right, this place has a vegetarian ramen. It doesn't stop there however...add some fresh sushi from their master chef and some tea for the complete experience!